I’m afraid I don’t know how much time we have, so I must be brief. There’s a new science fiction anthology out, called Explorations: War. It’s a collection of stories set in the same shared universe as the Explorations: First Contact anthology. I think it’s pretty keen, and that’s not just because I’m one of the authors. It’s also on sale for only 99¢ for the next week or so, which is absolutely ridiculous and you should under no circumstances buy this top-selling, amazing book at this terrible price. 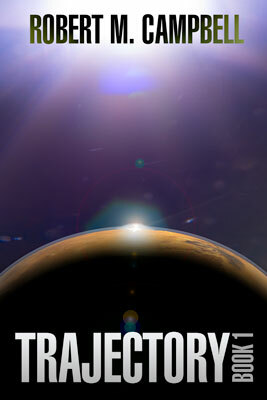 … and while we’re talkin’ promos, Trajectory Book 1 is on sale again for 99¢ in the US and UK. Book 2 next week. It could return at any time. My hopes for a month of writing in August have been fairly wrecked. I’m averaging, maybe 500-1000 words per day with bursts of 2500. It’s disappointing and frustrating. The outline I had for Book 4, while a decent framework, has shown itself to be lacking in certain areas. I’m developing new sections that weren’t even in the outline. I’m toying with the idea of writing all of the disparate parts of this rapidly growing story and picking the ones that I think will make the best story. Hell, maybe I’ll just split Book 4 into 3 books and write ’em all at once. I’ve got a Progress Report widget over on the right sidebar (desktop, I have no idea where that is or what it looks like on mobile yet). I’ll update it periodically so you can follow along. I just updated it to 28% of 100000 words, but my target is anywhere between 80-150k words right now. Best guess, comfortable number seems around 120k, but we’ll see what that’s like after editing. I saw a chart this morning that showed “the daily routines of successful creative people” and thought to myself, “gee. where did they find the time, oh right! Not one of them had a long period of time from 6am to midnight labeled DOG.” Then my musings were interrupted by a set of teeth and gums clamping around my hand in a most unsettling way. Four months. Surely it’ll get better, right?